Boryspil International Airport in Kiev is the largest airport in Ukraine. It is located roughly 19 miles to the east of city centre and serves as the hub for Ukraine International Airlines. 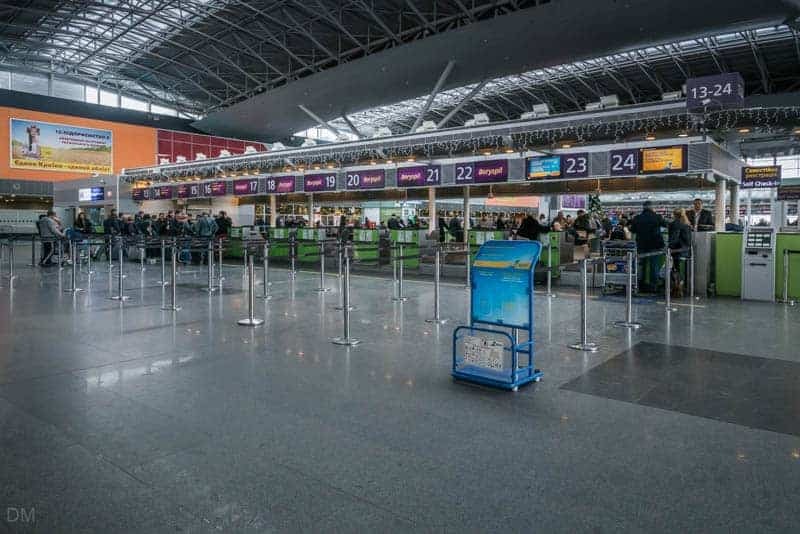 Most international flights to Kiev land at Boryspil International Airport. The city’s other airport, Kyiv International Airport, is mainly used by budget airlines. The IATA code for Boryspil International Airport is KBP (useful to know when booking a flight online). At the time of writing (January 2017) all international flights landing at Boryspil arrive at Terminal D. It opened in 2012 and is an excellent terminal with extensive and modern facilities. Terminal F opened in 2010 and but had a short and undistinguished life as a passenger terminal. In October 2013 all passenger flights were transferred to other terminals. It now serves as a cargo terminal. Direct flights to a good number of Ukrainian and international destinations are offered from Boryspil International Airport. Popular destinations include Tel Aviv (Ben Gurion Airport), Amsterdam (Amsterdam Airport Schiphol), Frankfurt (Frankfurt Airport), Paris (Charles de Gaulle Airport), Istanbul (Istanbul Atatürk Airport and Sabiha Gökçen International Airport), Dubai (Dubai International Airport), and London (Gatwick and Heathrow). 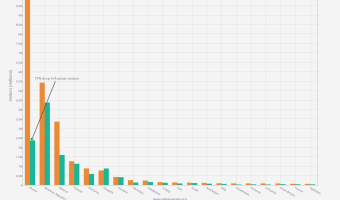 Flight destinations were last updated on April 1, 2019 . To enter the building, at any level, you need to pass through security and have your bags and body scanned. It’s possible to leave the building after entering but you’ll need to pass through security again. Once in the terminal you can move freely between levels. 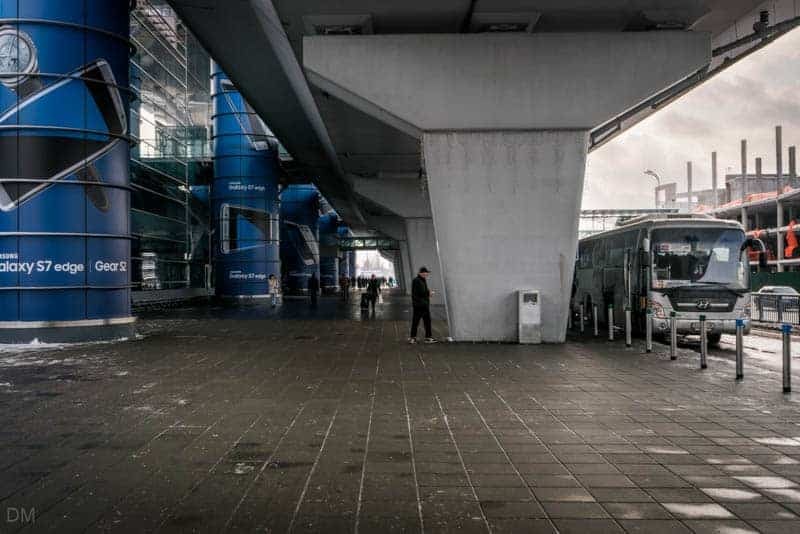 Facilities in Arrivals include several currency exchanges, a cafe, pharmacy, toilets, the Official Taxi desk, car rental company kiosks, coach ticket office (Gunsel), and a left luggage office. There is also a kiosk selling Ukrainian mobile phone cards (Kyivstar, Vodafone Ukraine, and lifecell). Level 3 offers comprehensive facilities. After passing through security at the entrance you’ll find the luggage wrapping services (highly recommended – see Security section below). Along with the check-in desks, other landside facilities include airline offices, cafes, and a shop. After checking your bags in you proceed through security and then passport control. The process is efficient and fairly relaxed. Airside facilities are impressive. There are two main restaurants (Spirito di Italiano and Gourmet Kitchen & Bar), coffee shops, plenty of smoking rooms, a children’s play area, and toilets. Complimentary wireless internet access is available and there are plenty of places where you can charge your mobile phone or other electronic devices free of charge. Stores include Heinemann Duty Free Kyiv, Salvatore Ferragamo (Italian luxury goods – shoes, bags, leather products etc. ), Emporio Armani, Victoria’s Secret, Boss, Michael Kors, and Ukrainian Collection. Taxis used to be a complete nightmare at Boryspil. In the days when Terminal B was the main international terminal, arriving passengers would be greeted (and harassed) by hundreds of unofficial taxi drivers. The rates offered were frankly exorbitant and haggling was essential. Regulated taxis now operate from the airport. Go to the Official Taxi desk in Arrivals and provide the staff with the address of your destination. You’ll be given an approximate fare before you travel. At the time of writing (January 2017) the fare to the city centre was around 380 UAH. There is currently no rail link to the airport. There is no Metro station at the airport. Don’t be confused into thinking Boryspilska Metro Station is nearby. It’s over 10 miles away. Driving in Ukraine isn’t for the faint hearted. If you need to hire a car at the airport you’ll find vehicle rental companies in the Arrivals area (Sixt, Europcar, BLS, United etc.). The cheapest way to get to and from the airport is to catch the Sky Bus. It terminates at Kiev Train Station (Southern Station side) in the city centre and stops at Kharkivska Metro Station (Green Line) on the way. Please note that on the official Borypsil International Airport website, Kiev Train Station is referred to as Pivdenny Railway Station (don’t get confused as it is the same place). The complete journey takes just under an hour and costs 80 UAH to Kiev Train Station or 50 UAH to Kharkivska Metro Station (prices in January 2017). Buses operate round the clock with departures every 15 minutes or so during the day (roughly every 30 minutes at night) from Terminals D (just outside Arrivals). Tickets can be purchased from the driver or from the ticket office in the Arrivals area. Although the Sky Bus offers the cheapest way to get into Kiev city centre, we wouldn’t recommend it for first time travellers to Kiev. Kiev Train Station isn’t really near any of the major hotels, so it’s likely you’ll have to hop on the Metro at the adjacent Vokzalna Metro Station (Red Line) or catch a taxi. Both options present problems. The Metro isn’t particularly great for passengers with luggage as there are no lifts (just escalators). Taxi drivers at the train station tend to try and charge more than the going rate. In our opinion the extra hassle just isn’t worth the money saved. Get an official taxi from the airport. 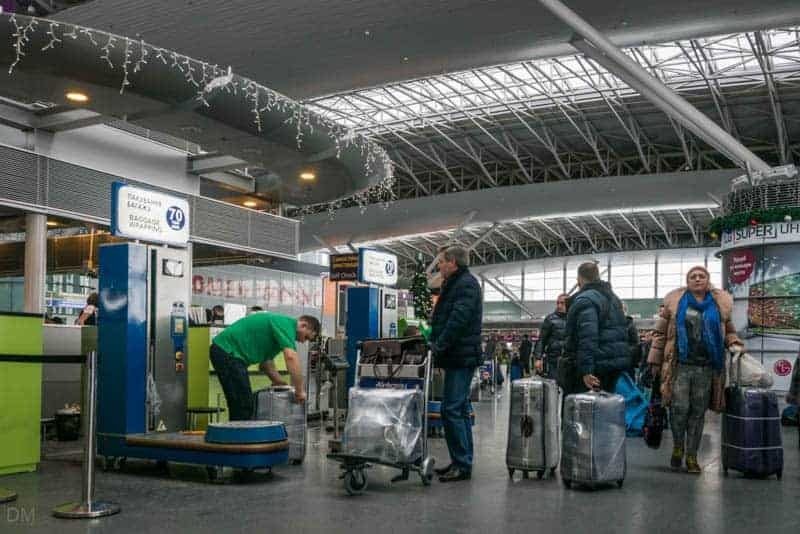 Valuables in suitcases used to have a tendency to go missing once passed into the hands of the staff at Boryspil International Airport. The editor of this website has personal experience of items of great personal importance being stolen from his luggage. Major discrepancies have been recorded between thefts reported to airlines and those registered by police. In 2007 airlines reported 11,000 luggage thefts, while police registered just under 600 offences. Criminal proceedings were opened in only 9 cases. Anecdotal evidence suggests that the situation has now been addressed. We, nor anybody we know personally, has experienced any problems with baggage theft in recent years. Nevertheless, exercising a little caution by placing any items of value in hand luggage doesn’t do any harm. Baggage wrapping services are in the departure areas of Terminal D. For a small fee (70 UAH – January 2017) you can get your suitcase wrapped with multiple layers of cellophane and secured with thick plastic straps. The service is very popular. Even if thefts are no longer par for the course, the wrapping provides excellent protection for your luggage. Map showing location of Boryspil International Airport. I am flying to Kyiv on Monday for the first time and I really appreciated the little note on taking luggage on the metro. I was planning to catch the bus to the train station then hopping onto the red line but your line of caution has changed my mind. Thanks for that! I have a day lay-over in Kiev in a couple of days (Flying UIA from Vienna to Bangkok). I arrive at about 8:30am and leave again about 12 hours later. I want to go into the town centre and have a look around. I plan to take the bus to the train station and then jump on the metro . Hopefully, my check-in luggage will go straight through to Bangkok so there won’t be any issue. What should I do in Kiev for a day?? Do I HAVE to change currency? Are Euros accepted at all? I assume the bus to the airport leave from a roughly similar place as the one that drops you off? Hi. Can you tell me if the SIM Card machines at the airport have an English language option so I can get an iPhone SIM for Kyivstar with the Maximum Unlimited plan? Or is it just in Ukrainian and/or Russian? There are no SIM card machines as far as I’m aware. It is a small kiosk/shop that sells them. Never bought one from there but I imagine, with it being the airport, they’ll speak English. Otherwise just wait until you get into the city centre and go in any phone shop. They are everywhere. You won’t have to walk for long before you see one. If it is a young person working there, they will usually speak some English. For what it’s worth, I always use the Vodafone shop at the back of Bessarabsky Market. They’ll set your phone up and get it working. Guy there last time I went spent about 30 minutes on it (there was a problem), and all for just a SIM card and top up costing a few dollars. Hello! I’m an American and could have an 18 hour layover in Kiev. Do you think it will be safe for me to visit? I am travelling to Delhi via Boryspil with a stopover for 7 hours with kids. If I’m in transit can I use the business lounge at the airport if I pay the fee? Hi, I am traveling to Budapest from Dubai via Kiev on 22nd June. I am taking a Fly Dubai flight from Dubai to Zhuliany Airport (Kiev) and then Wizz Air flight from Zhuliany Airport to Budapest. 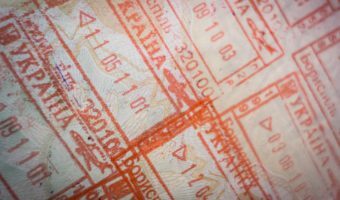 Do i need a transit visa to catch my wizz air flight? in case yes, is it possible to get a transit visa at Zhuliany Airport? I will be flying from Ivano-Frankivsk to Kiev to Amsterdam. Can you tell me how to transfer from the domestic terminal in Kiev to terminal D? since my hotel is close to Borispil Place and reaching this place from first Sky Bus stop is only two metro green stations….it seems a good option for me. thanks for this clear and precise description valued with pics and dates! feels like passion is motivating the staff working on this website? It looks like the price of Sky Bus between Boryspil and Kiev is now 63 UAH (when you order ticket from their website). Are you sure Sky Bus ticket can be purchased from drivers ? As it is not written on the Sky Bus website? Yes you can get it from the driver. Hello, on December 1st, I´m supposed to travel from Vienna to Chisinau through Borsipol. The layover is only 1hr and 10 mins. Do you think it will be alright and enough time? It´s the only flight that day so I can´t change it for longer layover. What are the procedures I need to go through when arriving to Borispol? I´ll be traveling with UIA the whole time. Will I manage to change the planes on time? Do I need to take care of my luggage during the layover or go through the passport control again? How does it work? I will be traveling from Newyork to Dubai in December and I have a 2 hour layover in Kiev borispol airport. Hello, I’m flying from beijing to Kiev and from kiev to Tel Aviv, but the time between flights is only 45 minutes. Is this enough to get to my flight to Tel Aviv or is it better to find another flight? I’m travelling from Tehran to Stockholm with Iranian passport by Ukrainian Airlines so I’m going to have 90 minutes stop in Borispol. Do I need a transit visa for these 90 minutes transiting? If yes can I get it on arrival? Hi, I’m an Australian citizen and have a visa start date of 25th June 2016. The best deal flight from Barcelona arrives at 18:15 on the 24th June 2016. If I arrive 6 hours earlier than my visa start date, what is my worst case scenario? How risky is this? Hopefully worst is that they make me sit in the airport until midnight? Hi I am travelling to Kiev. Can you please tell me what is the best and safest way to reach my hotel? I am arriving at Borispol Airport from Australia on the 3rd of June. I have been told that I am able to apply for a short stay (15 day) visa at upon arrival. Can you please confirm this and also let me know what the process will be and the cost? Hi, I’ve read a few comments below with people wondering if they would have enough time to visit Kiev during their layover at Borispol but do you think 6 hr 35 min layover would be enough time? Flying in at 13:15, flying out at 19:50. I realize my time would be constrained but just asking if you think it may be possible. In May I will have a 7 hour lay-over in Kiev.. Unfortunately I will arrive at 2.30 at night with my next plane leaving at 9.30. Sightseeing at night is far from ideal anyway, but would it be feasible to pay a quick visit to the centre during this time by taking the Sky bus (or else taxi) or is it a very bad idea to even try? Are night buses or taxis a problem? As an American, I don’t think I need a visa, but will immigration be a problem either leaving or entering the airport? At what time would you suggest leaving downtown back to the airport? Is it safe to be downtown all night? I only have carry-on luggage, so storing it should be fine without theft right, or does theft happen? I am travelling through Kiev airport next Sunday. I want to leave a small package for a friend of mine who will be able to pick it up when she travels back from Israel a day later. Is this possible? What suggestions can you give me? I am flying with two kids from London to Boryspil Airport at 4.20 am with around 8 hours layover before we fly to Istanbul. Is there anywhere to sleep or any nearby hotel? On 25th of July 2015 I am flying from Gatwick to Dubai with Ukraine International Airlines stopping at the Boryspil airport for 15 hours transit. My question is will I be able to get a transits visa and how much will it cost at the airport so I can go for a Kiev city tour. Also how to get to the Kiev city Centre and back to the airport. It is too late for you, but for others that see this, most Europeans (maybe all) will not require a visa to enter Ukraine. To get to the city center I would recommend a taxi. Should cost no more than 2-300 UAH. The taxi drivers you will meet in the airport will try to overcharge you. Things stolen from my bag during our stop in Kiev. I flew in and out of Boryspil airport last summer and fly again to Boryspil this week June 20 2015 via KLM which is an excellent airline experience. 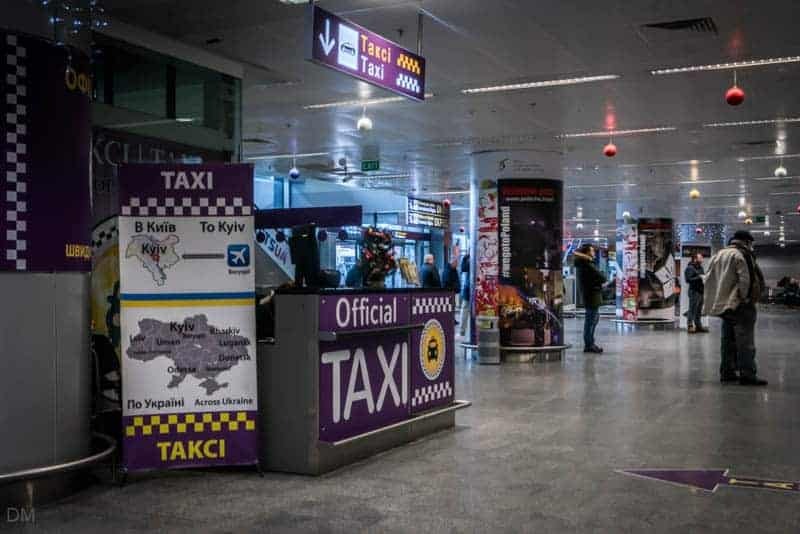 I had no problems at Boryspil with any part of the on/off experience nor with taxi harassment BUT travelling in Ukraine it is very helpful and at times a must to know some Ukrainian, especially if you have problems. Also, I have travelled extensively and know anything can go badly at any time in any country. I now only travel with only carry-on luggage which is great and if I really need something else I will buy it. Ukraine and many of its people have been living in extreme poverty for a very long time and even more so with the significant drop in the hryvnia this year due to the war in the east. Many are barely surviving, especially in rural central and eastern Ukraine where I stay with relatives. I go to the city central markets and give away money to the poor because I know they will get it instead of humanitarian aid through agencies. Thanks for the updates! This is the first and the last time I will travel through this airport. I had a very bad experience with the employee at the connection desk. I had a connecting flight from Dubai to Gatwick on the 30 May 2015. I left the baggage ticket in the plane. When I arrived at the connection desk the employee took my passport and asked for the baggage ticket. When I told her that I left it on the plane she rudely said ‘Congratulations you lost you baggage’. I tried to explain that I left it on the plane and if necessary I would try to go back to the plane and collect it. She just said that the police will get you if you go back to the plane. I felt she was discriminating against me. Is there a Sky Club at the airport? We are flying to Istanbul and we make a stop in Kiev. I am Mexican and my husband Swiss. Do we need a visa or something for the two hours we will be in the airport? No. If you are just transiting through the airport, you can stay in the airport for up to 24 hours without a visa. Double check with your airline to be on the safe side, but they’ll probably be using the same source of information as myself. Lost and found service is so bad. I recently came from London to find out my suitcase is missing. When I asked if they know anything no information was given as to whether my suitcase is still in London or in Ukraine. 3 days later I have no idea where it is and when I call they tell me in bad English that my suitcase went to the delivery company and they are no longer responsible. The delivery number of the company I was given, said that they will call me when it arrives and shut the phone on my face. I have no idea where my suitcase is and nobody can give an answer. Stay away from Borispol or Ukraine in general for all that matters. Worst costumer service and worst airport I have been to date. I’m flying to Tel Aviv this summer via Boryspil, arriving at Boryspil at 5am. My connection flight is at 10 am. Would I manage a quick trip to Kiev by Skybus? I’m flying with Ukrainian Airlines. You’d be mad to try it. You’d be heading back to the airport in rush hour. The worst immigration queue I have ever been in any airport. This made me miss my flight. In addition to this the baggage checks before immigration are badly organised and take a very long time also. I would not recommend Borispol! I don’t doubt what you are saying, but I’ve personally never had a problem with queues at Boryspil. Sure. I work for them. LOL. That’s why I mention the fact that my personal belongings were stolen at the airport (see the main article). I’m arriving in Kiev next week at Boryspil Airport, flying from Amsterdam. I have a 3 hour layover before flying to Odessa. Is there somewhere to store my bags and will I have enough time to visit Kiev city centre and see some of the sights? You didn’t mention who you are flying with. I presume it must be KLM/Ukraine International Airlines. If so, you won’t need to store your bags. You can check them straight through to Odessa. If you did need to store your bags there are baggage rooms at Boryspil. I’ve never actually used them though. The airport website says they cost 1 UAH per hour. There’s no way on earth you’ll have time to visit the city in a 3 hour layover. It is a fair way from the city centre and a taxi would take forty minutes each way at least (longer if there is heavy traffic). 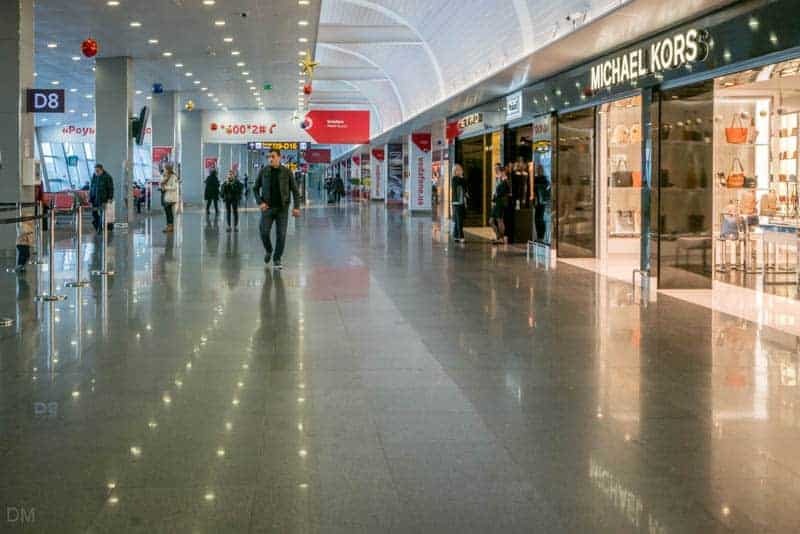 Should I buy presents at duty free or elsewhere? Depends what you’re buying I suppose. I’d say prices at the duty free are generally more expensive than in the city. I’d only personally buy from duty free if I forget to buy earlier. Cigarettes, for example, will probably be cheaper than in your home country. As a general rule I’d say buy in the city. The theft problem still exists!!! I just had my camera stolen from my checked in luggage. Not cool at all, and I would expect the airport and police to make sure this does NOT happen. The airport doesn’t even have contact information on their website to complain. Sorry to hear that. I was fairly certain that had stopped. Not heard any such stories for a while. You may have better luck complaining to your airline or in person at the airport. Let us know what happens. My parents just came through the airport. 3 out of 4 bags had locks broken off. Huge amount of personal stuff is missing. Moreover, my father had to bribe security check with one perfume, because he had 3 left in the bag. When I arrive at Boryspil Airport is there somewhere I can get money? Yes, there are ATMs at Boryspil and currency exchange desks too. I’m pretty sure the currency exchanges are open 24 hours.